For the last few years I have been doing a science type lesson lesson with some of the Preps at Holland Park State School. I used to help out a bit when my son was in the class and as he’s gone through a few more grades I have kept up the visit, at the invitation of Gail who is the gifted education mentor at the school as well. Its their chance to meet a real life scientist she says and I try to find something that might be interesting to them as well as to demonstrate something of the process of science, technology and this time innovation. Sometimes its show and tell of the technologies I’ve developed or if I’m feeling brave a simple experiment. This year it was marshmallows and pasta! What does that have to do with anything you say. Well its essentially an open ended construction task where trial and error and experimentation are really important, its used in entrepreneurial programmes a bit too. Its gained some popularity from kindergartens, first year engineers and even graduate business schools – with MBA candidates all having a crack. Apparently kindergarteners outperform manyt…so I thought I’d give it a try. 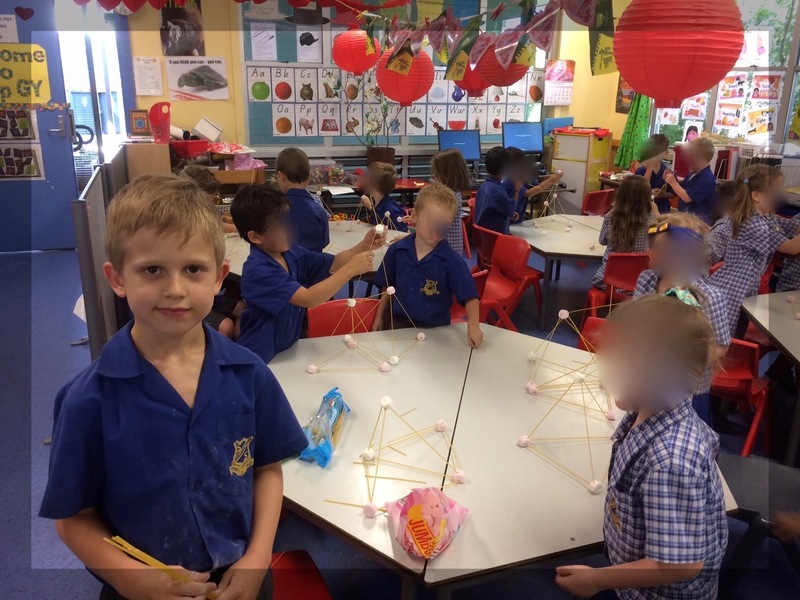 Essentially the task is to use marshmallows as the nodes and pasta (dried not cooked) as the construction materials to build structures. I tried it out first at home and the experiment seemed to go OK, so bringing along my youngest as my assistant we gave it a whirl. Here are some things we learned watching the class and got to chat about along the way. I think it applies to science, coding or just about any technical activity actually. The whole experience for me was a great reminder that science and technology are fundamentally creative endeavours with some of the kids literally hopping on the sport with joy over what they had made. The key to the creativity of course is having the discipline to first acquire the tools.